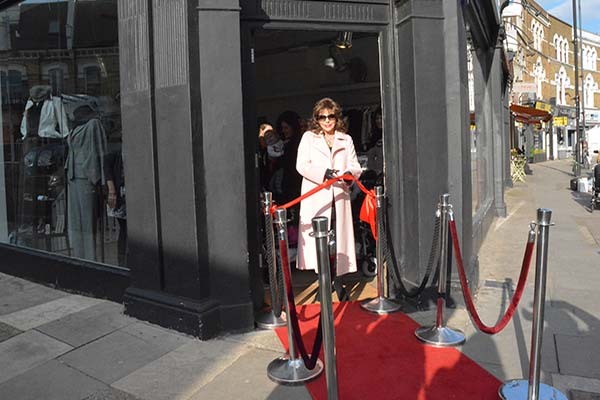 Global superstar Dame Joan Collins brought her trademark glitz and glamour to Fulham on Tuesday (6 February) at the official opening of the newest Shooting Star Chase charity shop. 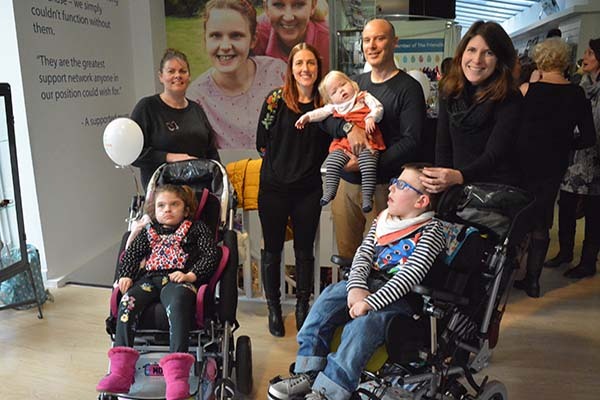 Shooting Star Chase provides care and support to children with life-limiting conditions and their families, and Dame Joan Collins, a Patron of the charity since 2003, officially opened the shop located on Fulham Road. She was joined by some children and their families who are supported by the charity, Gwen, Molly and Liam who presented Dame Joan with a bouquet of flowers and a special art canvas designed by children from the hospices. Dame Joan has donated nearly 500 exclusive items from her very own collection, which include a stunning black sequin dress, Chanel skirt and Grey Lloyd Klein Suit worn by the actress, allowing people a chance to own a unique piece of history. Showcasing a cream lace blouse from Catwalk Collection which is priced at £100. A stalwart supporter of Shooting Star Chase, Dame Joan Collins’ visit to the Fulham shop is just the latest in a number of generous activities she has undertaken as a Patron of the charity. Alongside regularly donating items from her personal wardrobe to the charity’s retail shops, she has treated supported families to exclusive Afternoon Tea’s at the Dorchester and breakfasts at Selfridges, officially opening the Weybridge shop and has appeared on Celebrity Deal or No Deal and Celebrity Who Wants to Be a Millionaire to raise vital funds for the charity. She received her Damehood in 2015 for years of charity work. 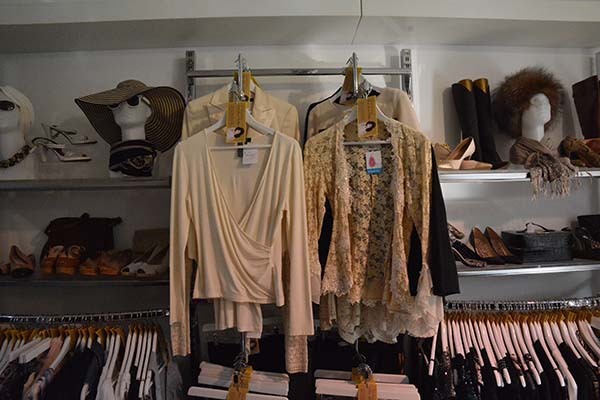 Items for sale include a vast array of clothing, hats, shoes and jewellery- with a mix of vintage, high street and designer labels. 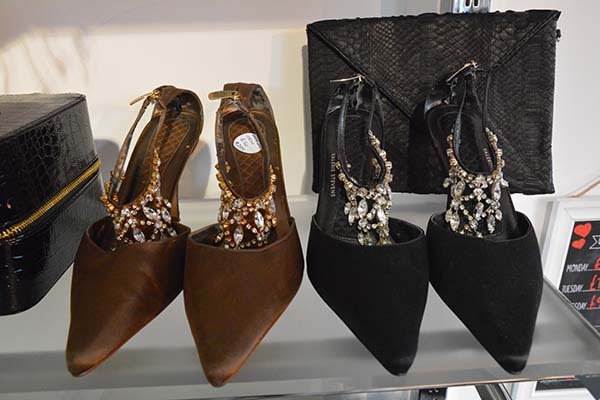 The shop is also running a silent auction for some of the most iconic items which include a Monte Blanc Zebra print handbag, a Christian Dior brooch, an engraved mirror compact, LK Bennett shoes and signed copies of her book. 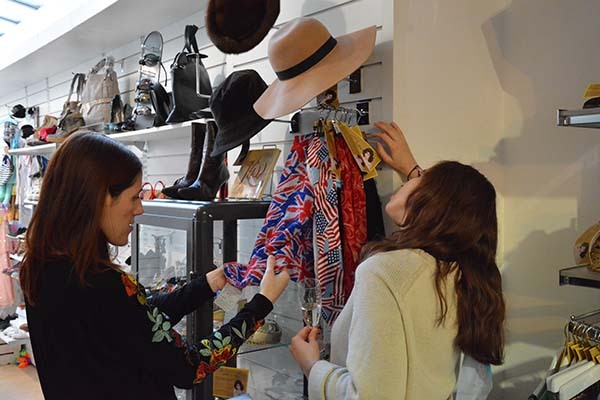 Shooting Star Chase have a growing number of shops, now with a total of 11 across London and Surrey, all run by an amazing team of more than 220 dedicated volunteers. 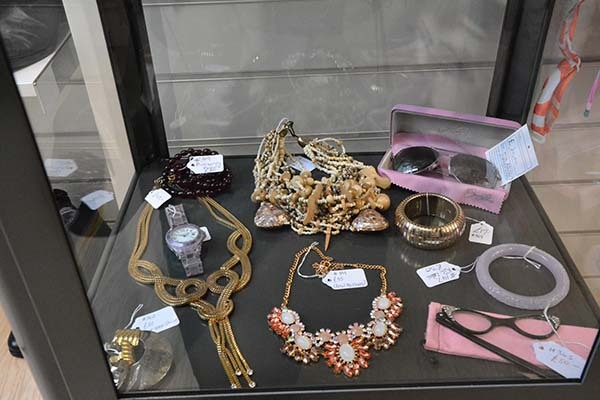 The shops play a vital role in helping the charity fund their care service, offering a huge range of pre-loved high quality items – including from an A-list celebrity! 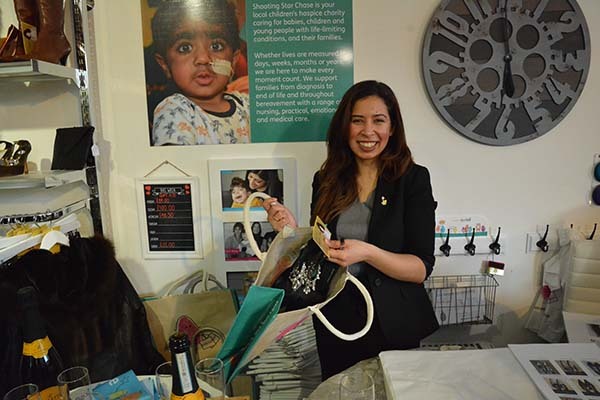 The new Fulham shop is the hub of houseware, terrific toys and fundraising fashions.